The sun is actually out in Port Moody today. A rare occasion this time of year so Armando and I headed out to enjoy a walk on this beautiful fall day around Burrard Inlet. Along Inlet Trail, we often see ducks, seagulls, Blue Herons, slugs (eww!) and other regulars. 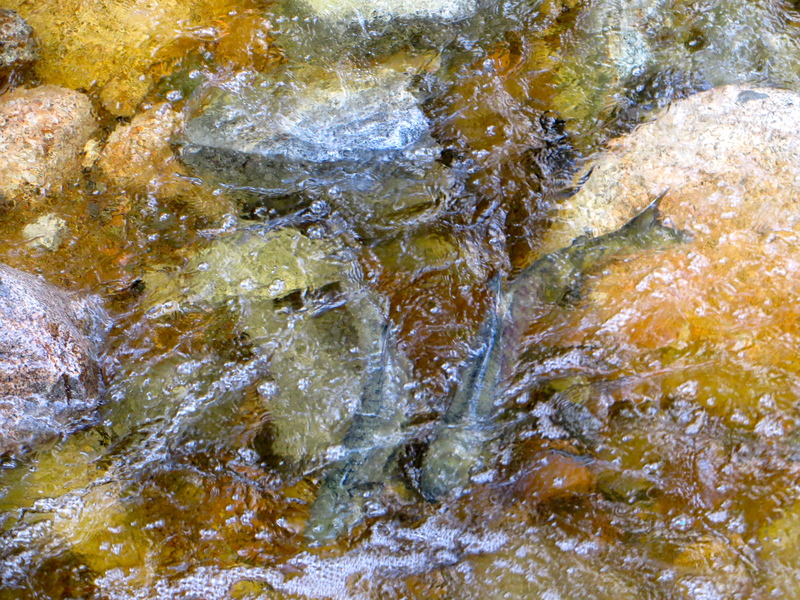 The last few weeks, we saw salmon swimming upstream. What an amazing thing to see. Talk about perseverance! How they get to where they’re going is beyond me. We’d watch until Armando’s patience wore thin. Many salmon were no further ahead than when we started watching them. At first, Armando didn’t see just how amazing these creatures are, questioning the big deal of them swimming upstream. All he could see was sushi, his mouth drooling. But then, I told him that if I plunked him in the middle of the ocean, I’d like to see how easy it would be for him to return home, ya’know what I’m saying?! Truly amazing that they return to the same spot that they were born, spawn and then die. Such a sad, yet awe-inspiring circle of life. 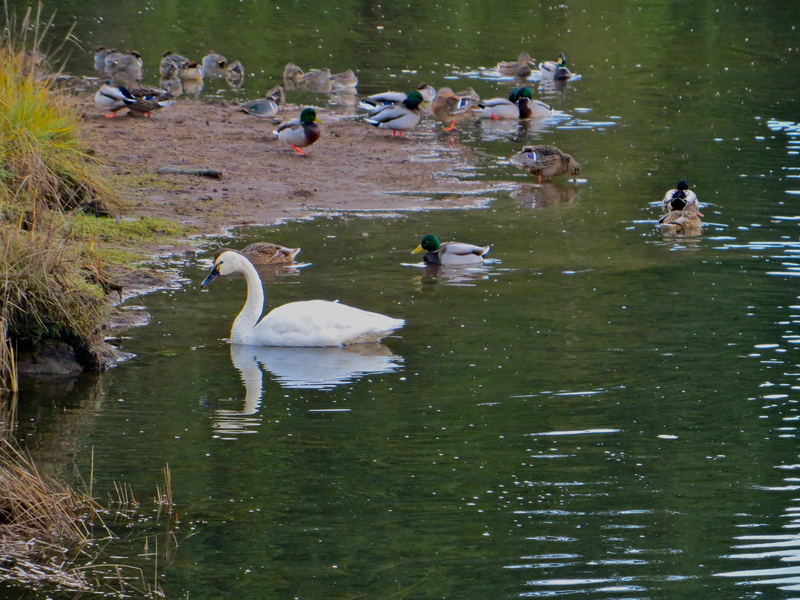 Today, as we were walking along the inlet there was a white bird swimming among the ducks. Oh, a seagull, I thought. But as we got closer I realized that it wasn’t a seagull but a swan! Armando and I both agree that we don’t think we have ever seen a swan in the wild. And it definitely wasn’t a regular visitor to the area as everyone walking by, stopped to have a look. ← Armando, Movember and other Hairy Talk!